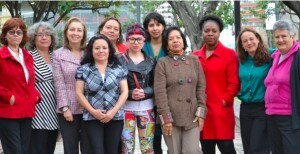 The 2015 Pax Christi International Peace Award has been granted to the Women, Peace and Security Collective for Reflection and Action (Colectivo de Pensamiento y Acción Mujeres, Paz y Seguridad) in Colombia for making visible and encouraging the essential contribution of women to peacebuilding in their country and for their work to promote an ethical transformation of Colombian society as the path towards sustainable peace. Established in 1988, the Award is funded by the Cardinal Bernardus Alfrink Peace Fund and honours contemporary individuals and organisations who make a stand for peace, justice and non-violence in different parts of the world. Founded in October 2011, the Collective is a women’s network that currently brings together women from different social and professional backgrounds (religious, ex-combatants, indigenous, afro-descendants, journalists, academics, human rights defenders, union leaders, etc. ), as well as organisations committed to a revolution in ethics as the basis for sustainable and lasting peace in Colombia. With a mission to foster conditions for a permanent and re-humanising dialogue among various sectors – including those traditionally opposed to each other – in different regions of the country, the Collective is in itself an example of how diversity can be embraced and used for positive change in a highly polarized society. 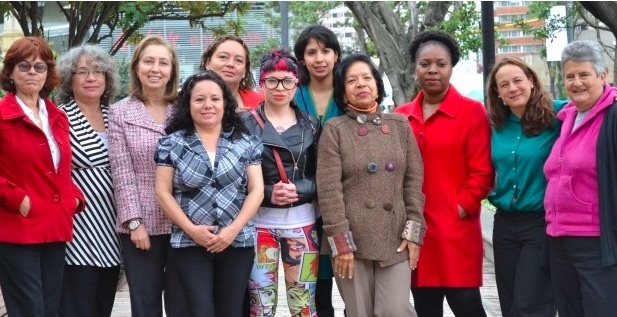 Through this award, Pax Christi International acknowledges the Women, Peace and Security Collective’s pivotal work in challenging women’s traditionally limited assigned role in the building of peace in Colombia. The Collective has identified many diverse spaces for women’s participation in public dialogue and political debate, including across inter- generational and inter-ethnic divides. At the same time, the Pax Christi International award honours symbolically the important role that women play worldwide in conflict transformation and peacebuilding at the local, national and international level. The Peace Award Ceremony will take place on Saturday, 16 May 2015, in Bethlehem, Palestine, during the Pax Christi International’s 70th Anniversary celebrations in that city.